Prime Labels | Printing Technologies, Inc.
“Prime labels” is an industry term for any label that is placed on a product to provide identification, information and branding. What makes prime labels important to customers? Why pressure-sensitive compared to cut-and-stack? Vibrant, custom branded prime labels are a great way to catch a consumer's eye, which enables products to stand apart from competition. A product’s prime label functions as its principal source of identification, visual branding and style. The label needs to not only inform, but also to attract and entice the attention of your target customer. 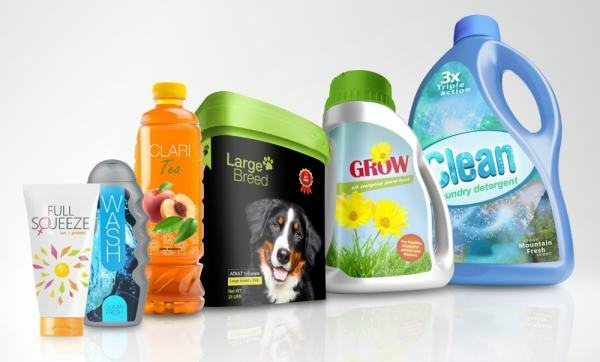 Essentially, your label must compel someone to select or purchase a product. At Printing Technologies, Inc., we offer custom, multi-color labels up to eight (8) colors and a variety of finishes that will satisfy your needs. We can cater to requirements that demand cold and high temperature applications. Our labels can be found on a variety of products sold nationally in various markets. Why Choose PTI for Prime Labels?